The death occurred peacefully and surrounded by his loving family at the Saint John Regional Hospital, Saint John, N.B. 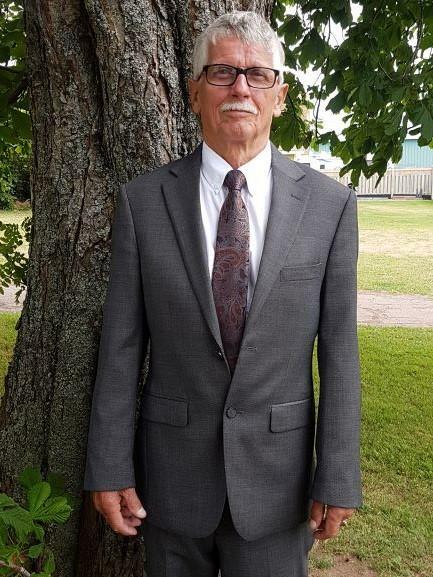 on Saturday, December 22nd, 2018 of “Joe” Percy Gerald Thomas of North Rustico and formerly of Summerside, P.E.I., aged 79 years. Joe was the son of the late John and Ada (nee Winchester) Thomas. Beloved husband of Ann (nee Arsenault) Thomas and loving father of Shelley Thomas of North Rustico and Sharlene Thomas of Summerside. Also, lovingly remembered by his two grandchildren Natasha and Michael Nowak and sadly missed by his puppies Tag, Dudley, and Oliver. Survived by his brother Elvin Thomas of Summerside, his sisters Grace Razavet of Summerside and Myrtle MacLean of Cardigan, his brothers and sisters-in-law: Joanne Thomas of Summerside, Peter (Anne) Green of Summerside, Irene (Gordie) Lyon of Comox, B.C., Jackie (Joan) Arsenault of Summerside, and Doris (Art) Gerrard of Summerside and several nieces and nephews. Besides his parents, Joe was predeceased by his sister Deborah Thomas, his brothers Claude and John Thomas, his sister-in-law Jean Thomas and brothers-in-law Jim Razavet and Vince MacLean. Resting at the East Prince Funeral Home, 245 Pope Road, Summerside until Friday, December 28th where a funeral service will be held in the funeral home chapel at 2:00 p.m. Interment to take place in People’s Cemetery, Summerside at a later date. Memorial donations in Joe’s memory to the Heart & Stroke Foundation would be greatly appreciated. Visiting hours on Thursday, December 27th, from 6 – 9 p.m. Arrangements entrusted to the East Prince Funeral Home, Summerside. Due to severe allergies of some family members, please refrain from wearing scents and perfumes during visiting hours and the funeral service.